The Madison offers one and two bedroom apartments for rent in Westwood, NJ, perfect for NYC commuters and area residents. Whether you’re looking for an apartment close to NJ Transit’s direct service into the city or a place where you can easily pick up groceries on your way home from work elsewhere in the area, you’ll appreciate the convenience of The Madison. Our community occupies one building with three stories and includes an elevator and an intercom system for your peace of mind. You have the choice between two sizes of one bedroom apartments ranging in size from 700 to 725 square feet. These spacious homes include both a living and dining room. 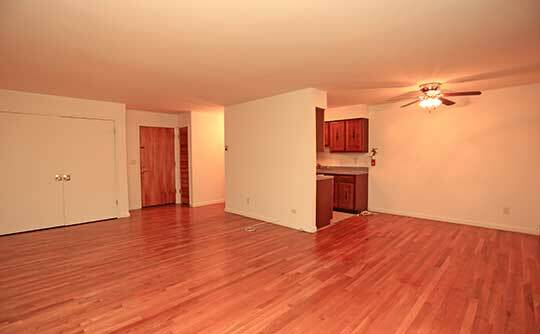 Two bedroom apartments include one and a half bathrooms and measure in around 965 square feet. With ample closet space, you’ll be eager to move into our Westwood apartments at The Madison. The Madison features recently renovated apartments with sleek, modern touches. 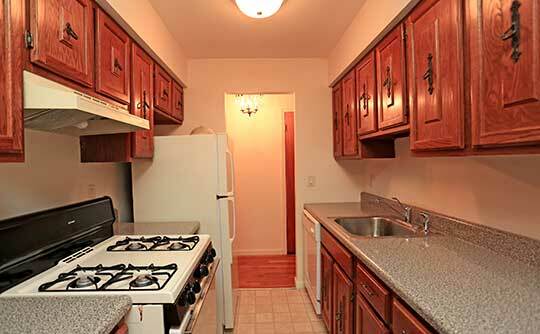 Choose an apartment with stainless-steel appliances, custom cabinetry, and hardwood floors. Select units have granite countertops available for an added hint of luxury. We’ve included air conditioning to keep you cool even in the heat of the summer. One of the most desirable features included at The Madison? Free WiFi helps you cut costs each month and stay connected. Browse our selection of floor plans and then contact The Madison to schedule a personal tour of our one and two bedroom apartments in downtown Westwood, NJ.